Mainstay/Whyaka on the Essequibo Coast will soon benefit from an upgraded airstrip and road, according to the Department of Public Information (DPI). 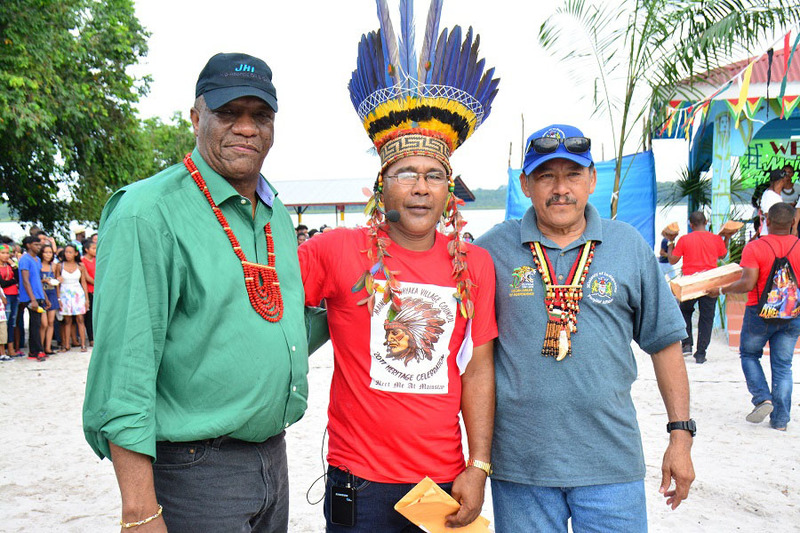 Arnold Adams, a representative of the Regional Democratic Council of Region Two, during a presentation at the recently held heritage celebrations, delivered the news to the residents. “Toshao, we would have heard your cry and I want tell you this very, very clear we would have included your road in the 2018 budget, also the airstrip we would have included in that budget”, he announced, according to DPI. Meanwhile, Minister of State Joseph Harmon who also attended the event noted that airstrips are vital to the development of communities and one at Mainstay will be supported. “In the 2017 budget, there is a sum allocated for I believe 90 something airstrips to be upgraded. And certainly, once the recommendation comes from the Regional Democratic Council of Region Two for work to be done on this airstrip here at Mainstay and because we understand the link which it has for tourism and the development of this community; it will get the kind of priority it deserves.” the minister stated. Toshao of Mainstay/Whyaka Joel Fredericks said that the upgraded road and airstrip will be of great benefit to the community of more than 600 persons. According to Fredericks, the existing airstrip has been inoperable since 2002. He also disclosed, once it is operational, the village council will assume responsibility for its maintenance. Several miners from as far as the Pomeroon currently have to travel all the way to Eugene F. Correia, Ogle, to get a flight to Region One, DPI said. Mainstay/Whyaka is currently accessed via road from Anna Regina. However, the poor state of the road has hampered tourism and other businesses in the area. The upgraded road will be a great relief for residents of the community as well as those in the neighbouring communities of Lima Sands, Tapakuma, and Red Lock.